Lemon and yogurt can be used in home remedies to soothe skin irritation. Lemon juice can help to reduce blemishes and scars, according to the University of Illinois Extension. Yogurt tightens your skin and shrinks your pores. People use these natural skin remedies in many different ways; you can combine the ingredients to create a soothing skin mask. Lemons contain alpha hydroxy acids and vitamin C. Both of these components have healing properties that are beneficial for your skin. Many people use lemons and lemon juice as a home remedy for acne scars and other skin inflammation. The AHA in lemons can help to remove dead skin and speed the disappearance of scars. Because of the high acidity in lemons, lemon juice helps to tone your skin and improve elasticity. Lemons and lemon juice are natural bleaching agents and help in brightening your skin. Yogurt contains lactic acid, which, according to the New Zealand Dermatological Society, can help to remove dead skin and reduce signs of aging. 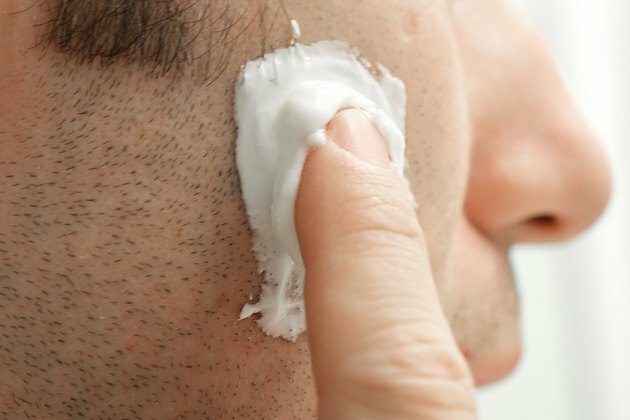 Yogurt is often applied as a skin mask to obtain moisturized and clear skin. The zinc in yogurt can help to clear your skin, removing blemishes and acne. Indeed, "Good Housekeeping" magazine suggests using yogurt as an ingredient in a natural mask to smooth and rejuvenate skin. The probiotics found in yogurt also help make your skin glow with health, reports a study published in "PLoS One" in 2013. 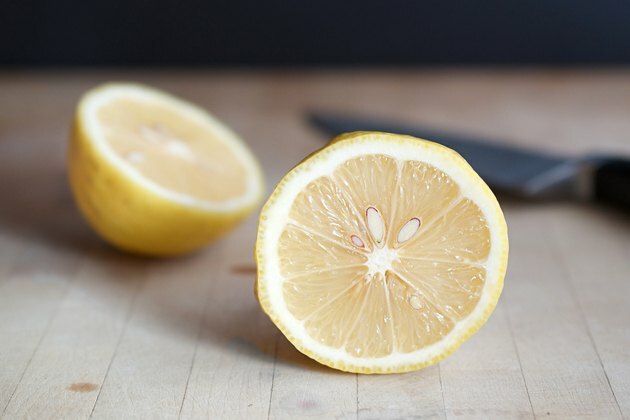 Lemons and yogurt can be used in many different ways as natural skin treatments. 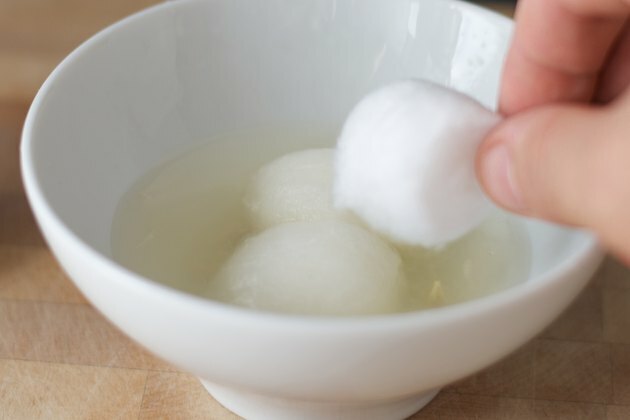 Lemon juice can be applied to specific areas of your skin with a cotton ball. Because of the acid, leave the juice on for 10 minutes or less before washing off. You can also apply lemon juice to your face as a toner. Yogurt can be applied as a mask. Apply regular — as opposed to low- or non-fat — yogurt to your clean skin and leave on for 20 minutes. Wash off completely. Combine 2 tbsp. 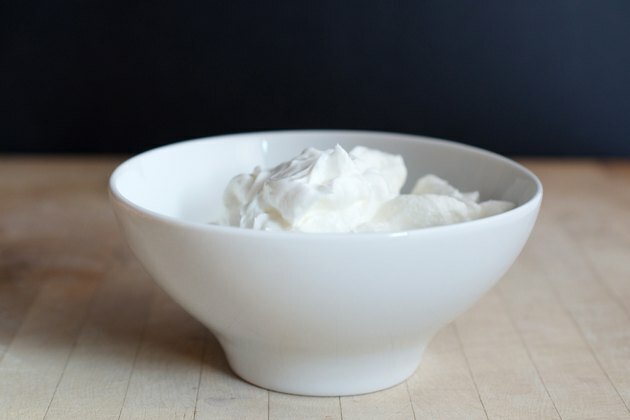 of plain yogurt with one to two drops of lemon juice. Be sure to use regular yogurt and avoid the fat-free or low-fat varieties. Apply the yogurt to your skin. Leave the mask on for at least 20 minutes. Wash your skin to remove the yogurt mask. You can add other natural ingredients to your mask if desired — "Good Housekeeping" suggests combining 3 tsp. of honey and one peach or nectarine with 2 tbsp. of yogurt in its mask. PLoS One: Probiotic Bacteria Induce a 'Glow of Health'.